Total compensation statements show employees how much you’re actually investing in them. Today I want to talk to you about your employees total compensation. No, total compensation is not simply the employees annual salary. It is more than that. It refers to the total cost of employing an individual. Why is this important? I believe this to be important on two levels. It’s important for employers to have an idea of just how much it costs to employ someone. This may help you make more informed hiring and firing decisions. It’s also important that the employee understands that their compensation is more than just what their paycheck shows every payday. According to a study conducted by Human Resource firm PayScale, nearly 40% of all businesses prepare total compensation reports for their employees. Total compensation can be defined as the employee’s cash wage plus any non-cash benefits that are paid on behalf of the employee by their employer. A lot of times these non-cash benefits are never seen by the employee, therefore they have no idea that you the employer are even paying them. Or maybe they have an idea, but it’s never discussed with them so they may not really see it as a benefit for them. Let’s go over some of the non-cash items that you are most likely to be contributing on behalf of your employees. Health Insurance is going to be one of the largest, if not the largest non-cash value that your employees receive. There are also employer paid matching retirement contributions, and let’s not forget the employer paid portion of payroll taxes. These will be the most common items factored into a total compensation report that you may prepare. Your organization may provide additional non-cash benefits such as Flexible Spending Accounts, life insurance, disability insurance or any other benefit you may provide that was not mentioned. Costs such as equipment or workplace amenities would not be included in a typical total compensation report. Let’s put a quick example together. Let’s say you hire a new employee at $50,000 per year annual salary. As previously stated, this number simply represents the gross pay, before taxes, that your employee will be paid in cash. The employees annual salary is obviously going to be the lions share of the total compensation report. Then if you factor in the FICA taxes which are 15.3%, 7.65% of which is paid by you the employer. On $50,000, that number is $3,825. So you can see already it’s going to cost you at least $53,825 to pay your employee $50,000. Let’s say you have a medical plan where the company pays 100% for the employee only, family coverage is extra and would be paid by the employee. For the purpose of our example, the employee only coverage is just over $416 per month. This adds up to around $5000 for the year. Lets throw in a retirement plan where the employer matches 25% on the first 4% that the employee contributes. In this example the employer matching contribution would be $500. So that’s a pretty basic benefit offering and if we add all that up we get a total compensation report that shows us that it will take $59,325 to pay this employee an annual salary of $50,000 and provide a basic benefit offering. In reality, it will actually cost you a little bit more than this because we didn’t factor in unemployment taxes and any other employer paid taxes that may be due at a state level. These items are typically not included in a total compensation report. You can tailor the compensation report to your needs. You can decide what to include and what not to include in the report. If you don’t think that your matching contribution to the retirement plan is not all that generous, and you don’t want to highlight that piece, you are free to leave it out. It’s completely up to you to decide what you want to include in the report, and what you would rather just keep out of the spotlight. Share Total Compensation with Your Employees? 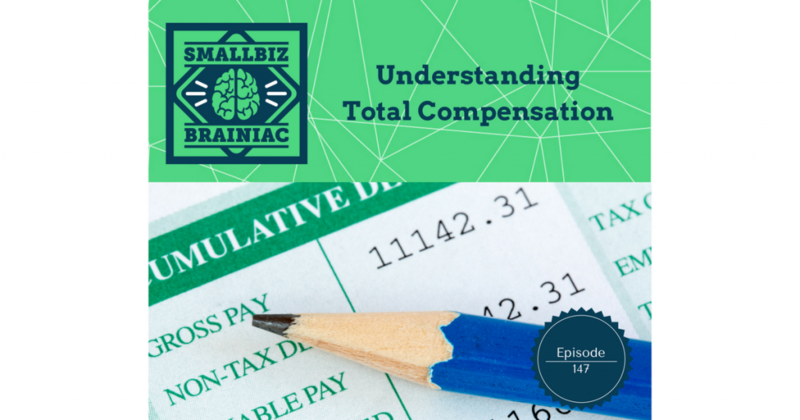 Should you share the total compensation report with your employee? I say yes to this, but you’ll have to decide if this is the best strategy for you and your company. If you do decide to share the total compensation report with your employee, you do want to present it properly so as to not confuse the employee, or make a situation worse for yourself. You want this information to be beneficial to all involved. I think it’s a good idea to provide a total compensation report up front when you hire a new employee, but make sure it is clear. Make sure there is no mistake that the annual salary is $X and that the non-cash value of associated benefits is $Y. You don’t want your new hire to misinterpret what you are showing them. Perhaps have a manager or your HR department go over this in person with the new hire so they have an opportunity to explain the report to the employee. The Society for Human Resource Management, or SHRM, has a great report sample on their website. 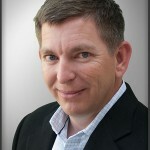 Take a minute and visit the show notes of this episode on our website at smallbizbrainiac.com. There will be a link to the report sample if you want to see it and perhaps create your own reports using their sample as a guide. Another good time to share a total compensation report with your employee is at their annual review. If the annual review is resulting in a pay increase to your employee this may be a good time to go over the total compensation report with them again. You can show them the change from the previous year to the new year. However, if a pay increase is not going to happen, you may want to tread lightly here. Some HR experts will warn you about using the total compensation report as justification for not giving an employee a pay increase. I agree with this. If an employee is not due a pay increase, for whatever reason, it may seem like a good idea to soften the blow by highlighting the non-cash benefits they receive. However, put yourself in the employees position. Would this appease you if you felt you were due a raise in your salary, but instead were told sorry, no pay increase, but we will continue to pay all of your benefits. It’s never easy to deliver the bad news, but don’t make it worse by trying to soften the blow with the compensation report as justification. More often than not, your employees will not receive that message as you intended. If you are in this situation it may be best to just let them know that the company is not in a position to offer a pay increase at this time and only provide a total compensation report upon request. The total compensation report is a great tool for communication with your employees if presented properly. It’s important to make sure your HR and management teams understand what is in the total compensation report and are trained on how to use this report to their advantage when communicating with their employees. Your employees eyes will be opened to all the benefits that you are actually contributing to their compensation package.